What should you do? You call a personal bankruptcy attorney (like me!) and schedule a bankruptcy consultation. I analyze your assets and liabilities. 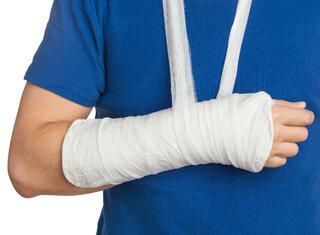 The pending workers compensation award is one of your assets. And I give you good news: your pending workers compensation award is fully exempt in your Chapter 7 bankruptcy case. Under federal bankruptcy law, a pending workers' compensation award is fully exempt under §522(d) (10)(C) of the bankruptcy code, that exempts your "right to receive a disability, illness, or unemployment benefit." The case of In re Evans, 29 B.R. 336 (Bankr. N.J. 1983) holds that workers compensation awards are exempt under 522(d) (10)(C) in their entirety, as are permanent and temporary disability payments. That result agrees with New Jersey law that exempts all worker's compensation awards, including temporary and partial-permanent, from all claims of creditors and from levy, execution or attachment, under the statute N.J.S.A. 34:15-29.